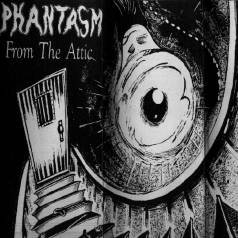 Phantasm was a self-described "progressive gothic metal" band in the early 1990's. and not so much to the musical style charactarized by bands like Type O Negative. Add this CD to my cart (PayPal). Or, buy it now with Google Checkout! Engineered by David "Styckz" Hayden. 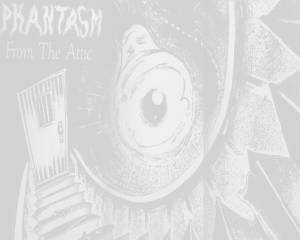 All songs arranged by Phantasm. Copyright © 1992 Tim Wilhelm, Dave Calhoun, Jim Buser and Jeff Buser. All rights reserved. Unauthorized copying, reproduction, public performance and broadcasting are prohibited by Federal law and are subject to criminal prosecution. Originally released on Ry'leh Records. From the Attic has been re - issued by Foxwood Music, and you can buy it here.